Garnet is most commonly found as a deep blood-red stone but can appear in many other varieties. Its name comes from the latin word “granatum” which translates to pomegranate, referencing its similarity to the seeds of a pomegranate fruit. It is found worldwide but its common pomegranate formation is primarily found in Sri Lanka, Afghanistan, Brazil, Austria, and India. Garnet has been used in many civilizations throughout history. 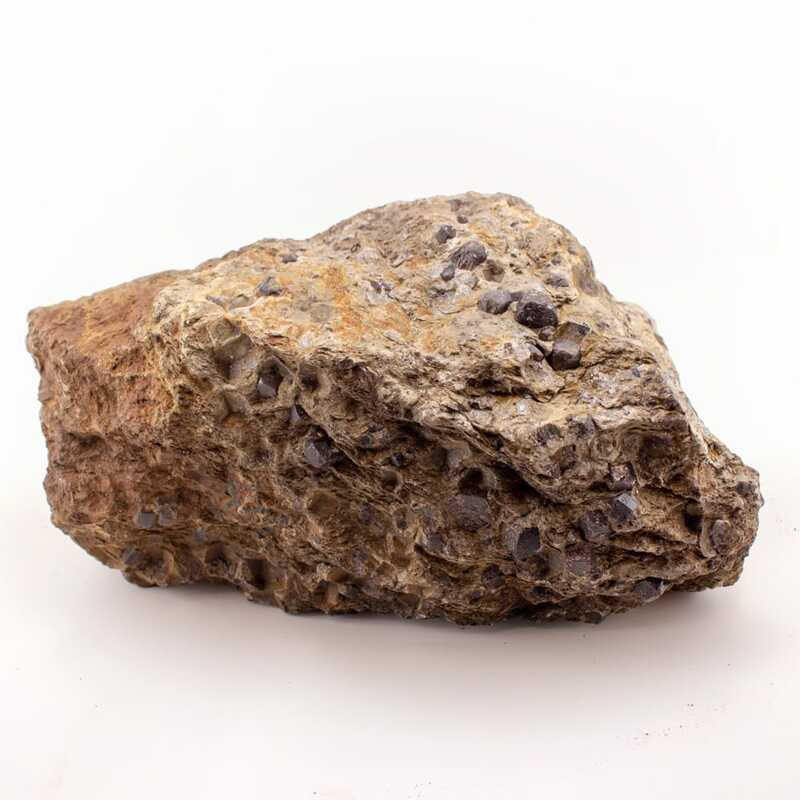 It was a very commonly used stone long ago as people were more closely connected with the Earth and life required more physical work. It generally gave the ancient people the necessary energy to carry out their daily tasks and possibly helped them manifest many of the great structures and tools we still hear about today. It was very popular in Ancient Czechoslovakia during the Bronze Age, Egypt over 5,000 years ago, Sumeria around 2100 B.C., and Sweden around 1000-200 B.C.. Garnet was also considered a sacred stone by the Native American, South American, African, Mayan, and Aztec tribes. It was one of the sacred stones in the high priest’s breastplate and it is said that the only light on Noah’s ark was provided by a giant Garnet. During the Middle Ages, lions were carved on Garnets and carried to protect one’s health, especially when traveling. 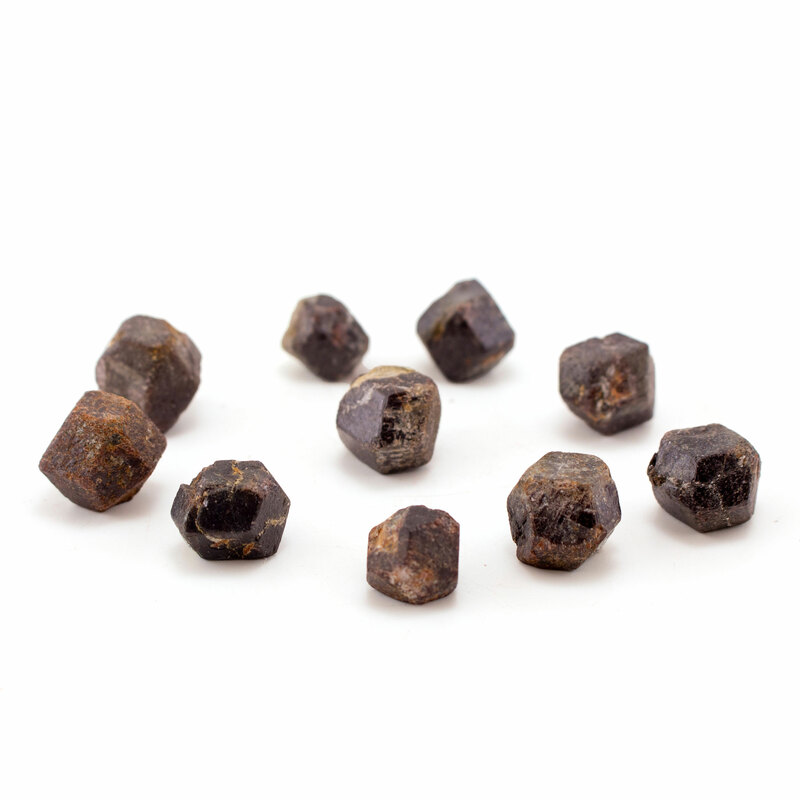 Garnets are very grounding stones that have incredible manifestation abilities. They are of great assistance in bringing creative thoughts into the physical world. 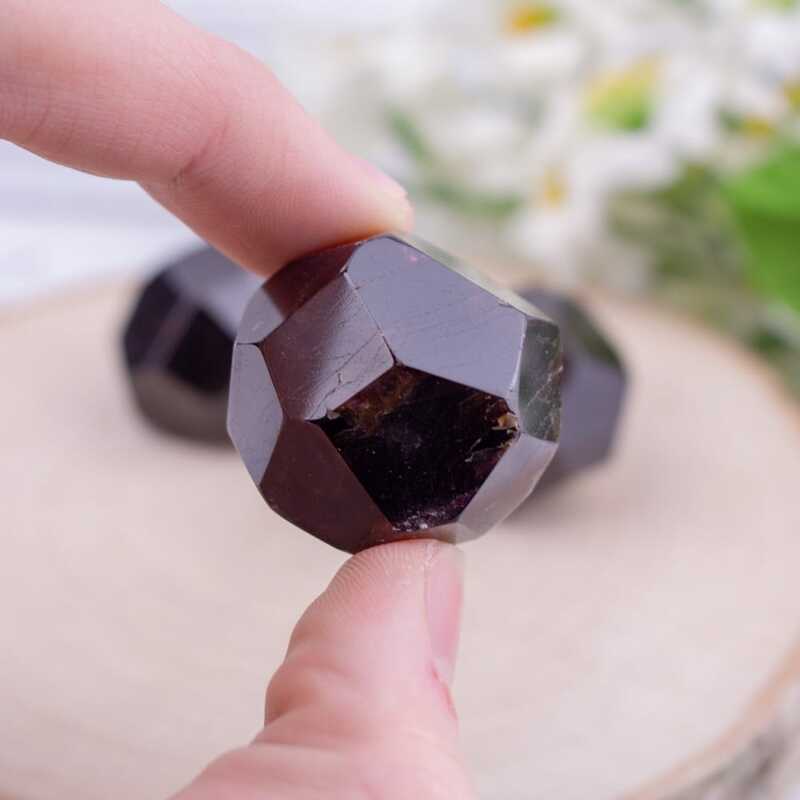 Each type of Garnet is geared towards different kinds of manifestation, but all are able to ground one’s desires and goals into the physical realm. Garnet’s vibrations boost one’s physical endurance and life force, increasing blood flow and linking one strongly with their body. This allows one to easily see how their dreams can realistically manifest in the physical plane and provides the endurance to bring them into the third dimension. The dense energies of Garnet not only ground one so that they may fully experience physical life, but also provide a powerful shield that can keep negative energies from attaching to them. 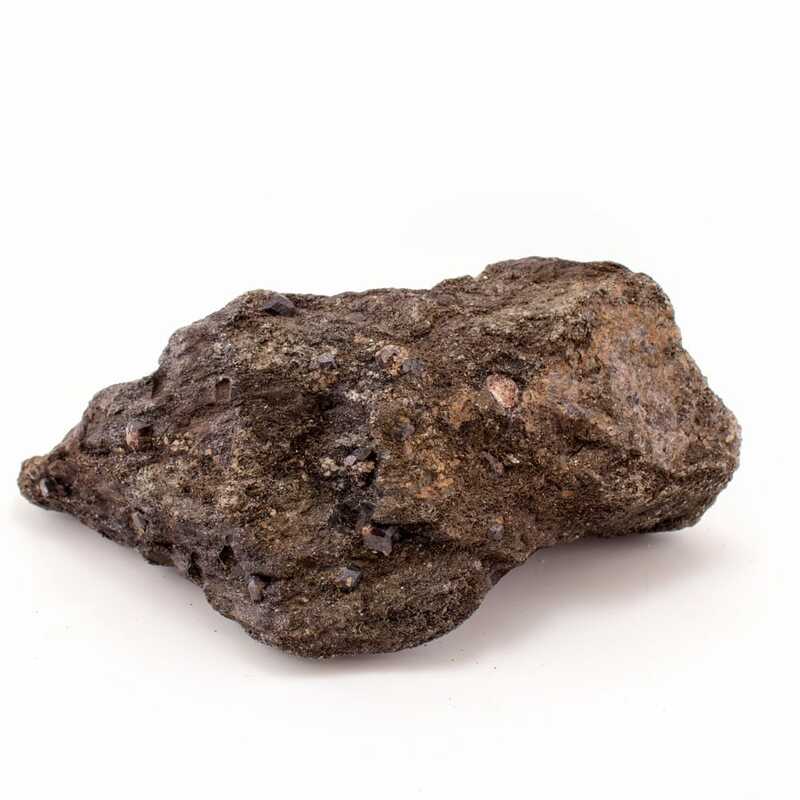 Garnet is also able to extract negative energies and transmute them into a state that benefits the one using it. This makes it an excellent tool for healing work and mediation as its vibrations connect directly to one’s highest physical good. Garnet is a fiery stone that acts with great speed. It blazes one’s internal fire and roots it, bringing one’s creative powers into physical realm. Wearing it will greatly increase one’s bodily strength, endurance, and vigor. 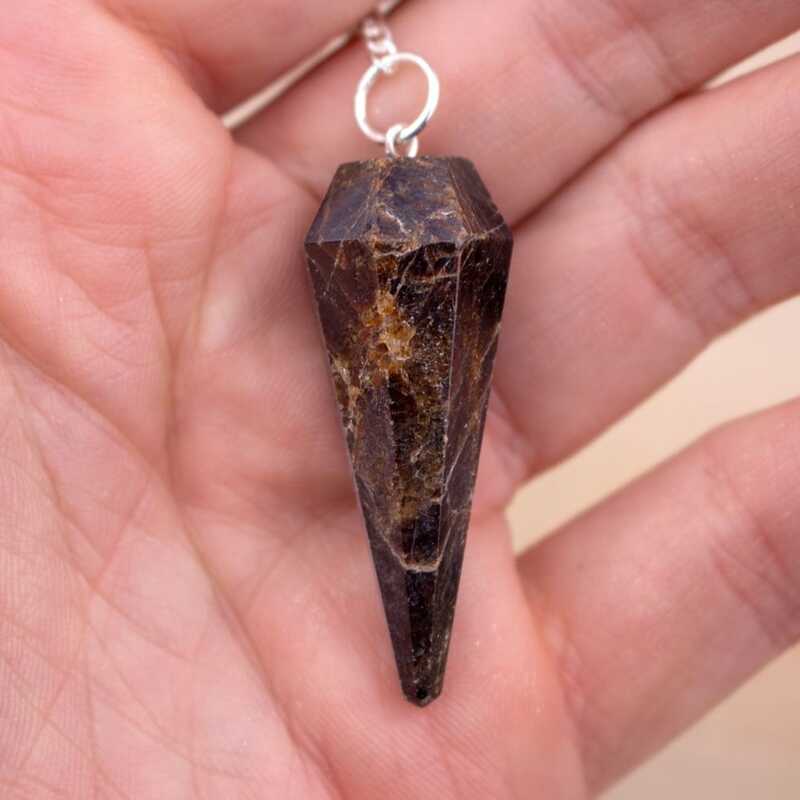 This stone has a flash of lightning within it that aids one in changing their world by developing immense expansiveness in the abilities of awareness and manifestation. It is a projective stone that is commonly worn for protection. Its able to create a powerful red shield that is highly charged with positive vibrations. The Garnet shield greatly strengthens one’s aura and repels negative energies upon contact. It sends off a powerfully offensive vibration towards attackers/threats when one is being targeted by negative energy of any kind. This is especially helpful in driving off demons and night phantoms and has been used as protection from thieves and insects. Garnets an excellent stone to bring along when physically exerting yourself in any activity and is highly recommended when hiking. It is a stone of commitment in that it grounds and commits one fully to their purpose, to others, and to themselves. Through its vibrations of devotion and commitment, Garnet is an excellent stone for love and relationships as well. It allows one to become aware of one’s inherent responsibility in regards to personal freedom and patience igniting one’s personal magnetism and cooperation in times of change (whether of the self or others). Throughout time, Garnets have been exchanged between parting friends as a type of “goodbye” to symbolize their affection and to ensure that they would meet again. Garnet is able to tap energy, allowing it to empower any other crystals and one’s abilities. It can be used to add extra energy to any ritual or action, giving them a boost in power and effectiveness. It emotionally dispels negativity, worry, and panic; allowing one to face the truth of any situation and to move forward from emotional setbacks. Being directly related to the blood, Garnet is able to provide healthy regulation to the heart and blood flow. It supports the reproductive organs, providing them with oxygen and blood. It relieves skin conditions (especially inflammations), aids in spine disorders and supports the bones, cells, and lungs. Garnet is able to repair the RNA and DNA and empowers regeneration in general.